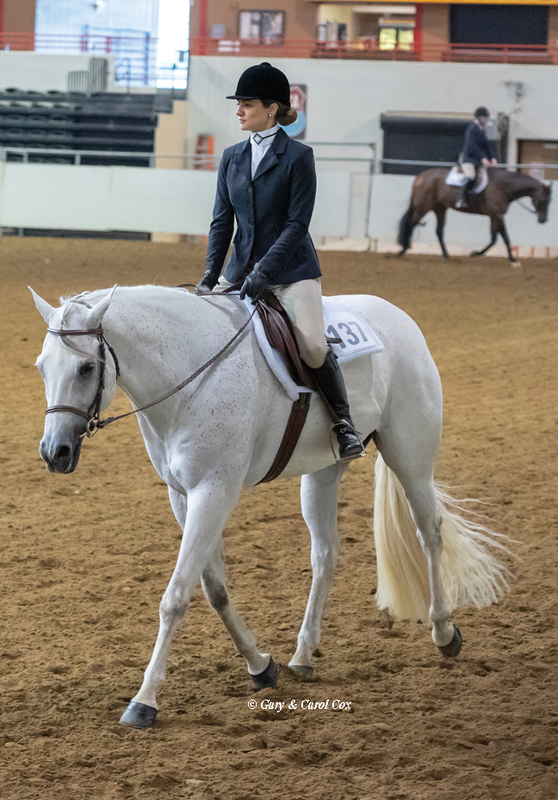 The 2019 show season for Mid-South Quarter Horse Association (MSQHA) got off to a chilly, rainy start on the first weekend in March (1-3) at the Expo Center in Tunica, Mississippi. Judges for the show were Charlene Carter, Mike Carter, Jan Larsen, and Danielle Burns. Show Secretary Pat Kress said the number of entries was about the same as last year, although they had some cancellations because of the bad weather forecast. However, the tally at the end of the show showed a 20% increase in entries from the same show in 2018, with 110% increase in the Youth entries. Folks at MSQHA were excited about this! 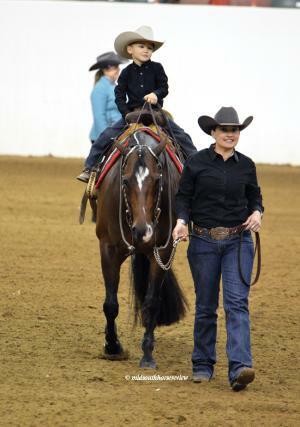 This show offered a chance for one lucky competitor to win a free stall at the July show. Anyone who purchased an MSQHA membership at the March show was entered in a drawing for a free stall at the July show. Member Vonda Halford Miley won the free stall for the Liberty Circuit, July 6-7. There were added money classes offered at this show, too. A prize of $50 was awarded to highest composite placing Non Pro each day of showing in these classes: Open Trail, Open Hunter Under Saddle, Junior and Senior Western Pleasure, Open Ranch Riding. There was a $50 random drawing to exhibitors in Youth Western Pleasure (must be at least 5 in class). 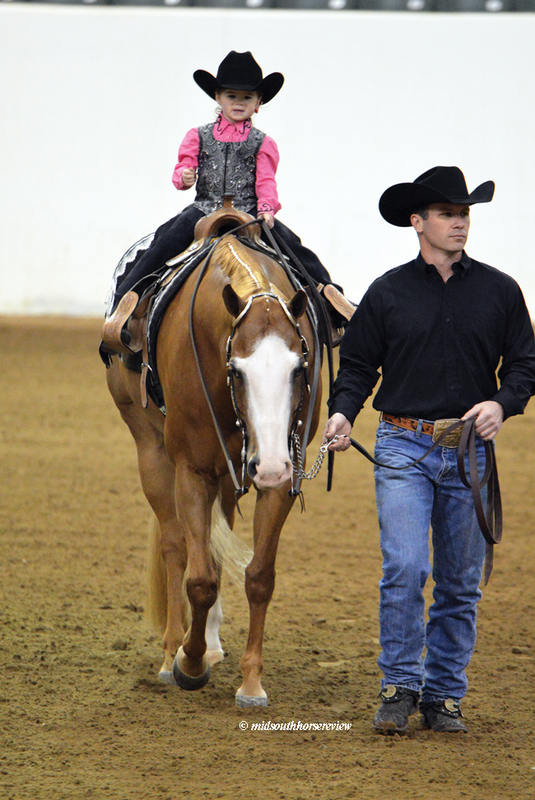 The show got started at 6 p.m. Friday evening with ten trail classes, starting with Small Fry. Saturday was off to an early start with driving classes at 7:30 a.m., followed by Showmanship at 8 a.m., then a wide variety of halter classes. 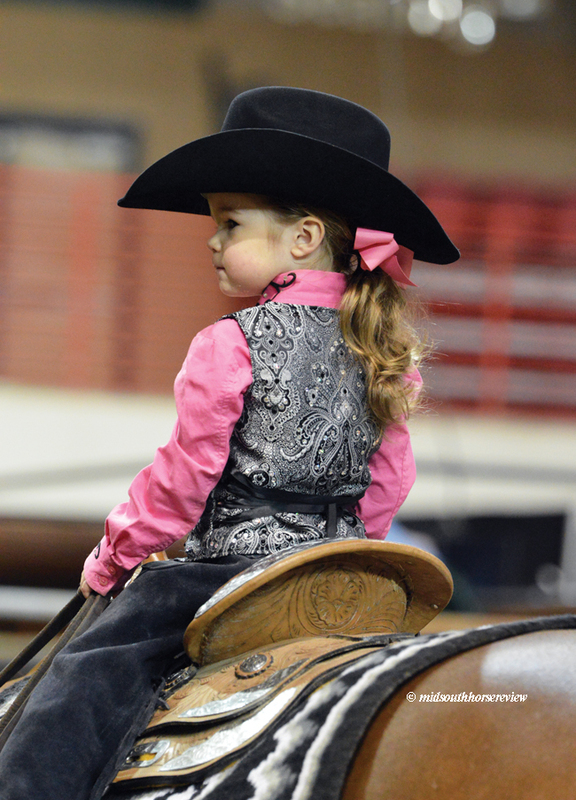 After the break, the cutest Lead Line riders were in the arena, all of whom earned a blue ribbon. That’s a tough one for the judges! These were followed by the Small Fry class, then on to Pleasure and Horsemanship classes. 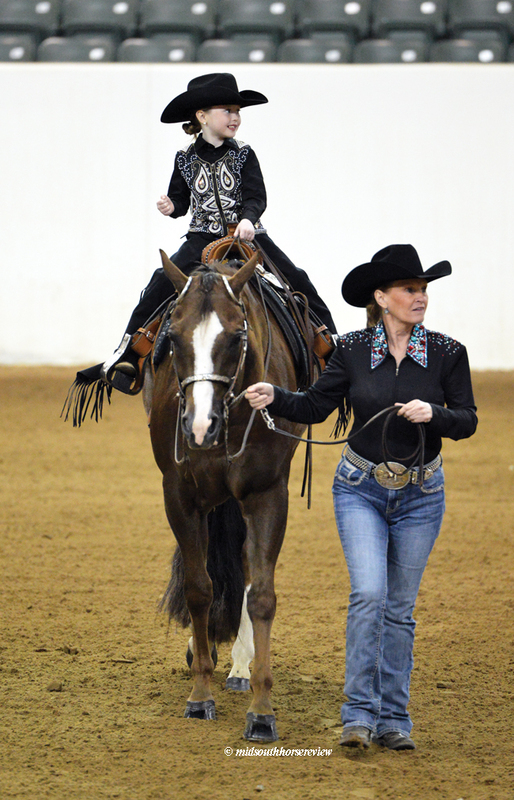 Western Riding and Reining rounded out Saturday’s classes. 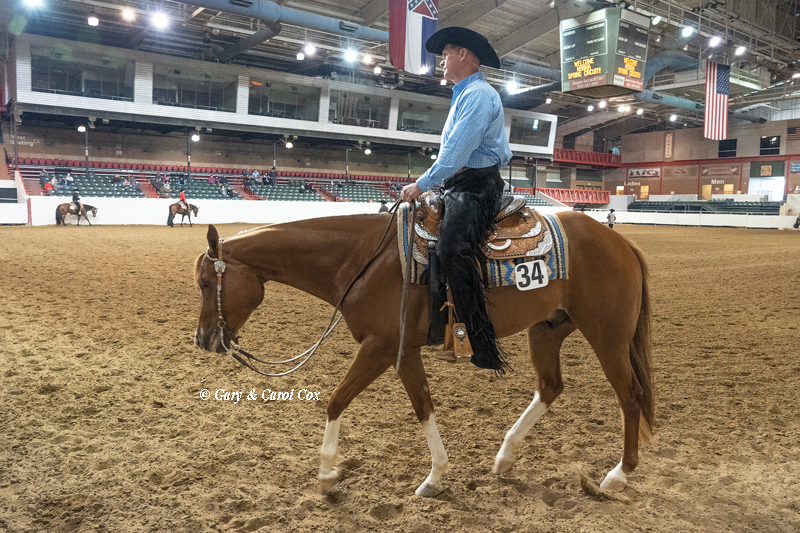 Sunday’s classes began, as on Friday, with ten Trail classes, followed by Lead Line, Small Fry, and then Pleasure and Horsemanship classes. 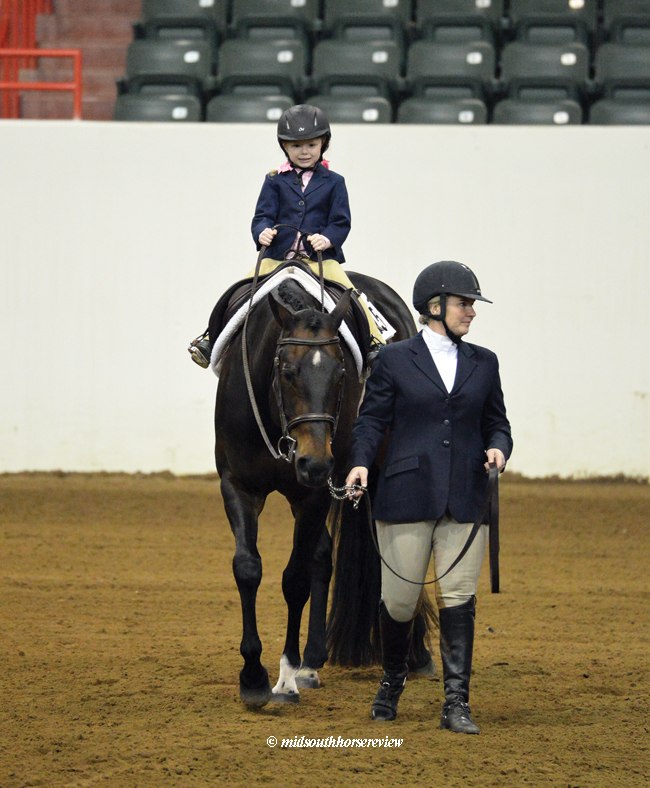 After Horsemanship were the Hunter and Equitation classes. Finishing Sunday’s lineup were the Ranch Riding classes. I had an opportunity to talk with Judge Mike Carter during a break at Saturday’s show. Mike has been judging for 30 years, he said, and he turns 70 in May. So there is a lot of experience with horses wrapped up in this one person! He and his wife Charlene both judge and she was also a judge at this show. He says they judge about 100 days per year. Charlene also coaches England’s Youth World Cup team and she goes to England about two times a month to work with the team. Carter said he took on his first horse to train at age 12. 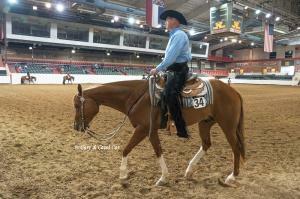 He has shown Quarter Horses for decades and used to keep around 60 horses to train. Carter is continuing his legacy with horses at Harmony Hill Farm, Mike and Charlene Carter’s lovely facility in Goodlettesville, Tenn. They have now passed on the main operation of the farm to their granddaughter Brianna Felton, who rides hunter/ jumpers, and trains with Allison Koenig. Brianna has trained her own horse, too, placing 6th in the nation, Carter said. Upcoming MSQHA Shows are the Liberty Circuit, July 5-7, and the Turkey Circuit, Nov. 31-Dec. 1. 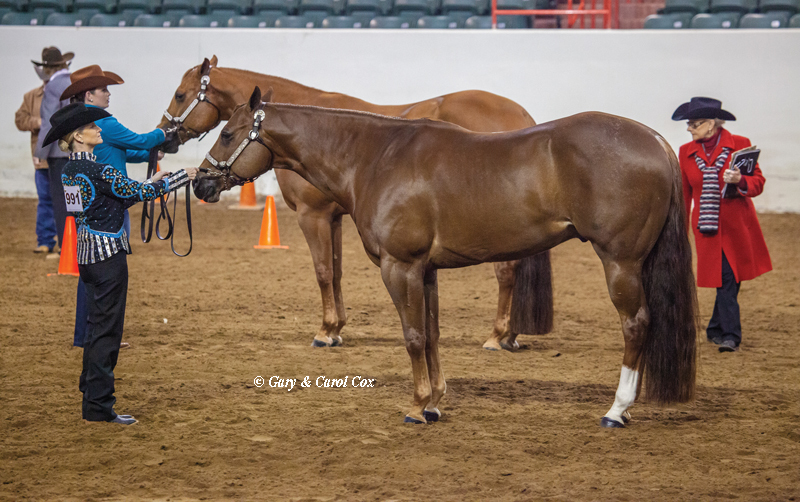 Find more information at: www.midsouthquarterhorse.com.